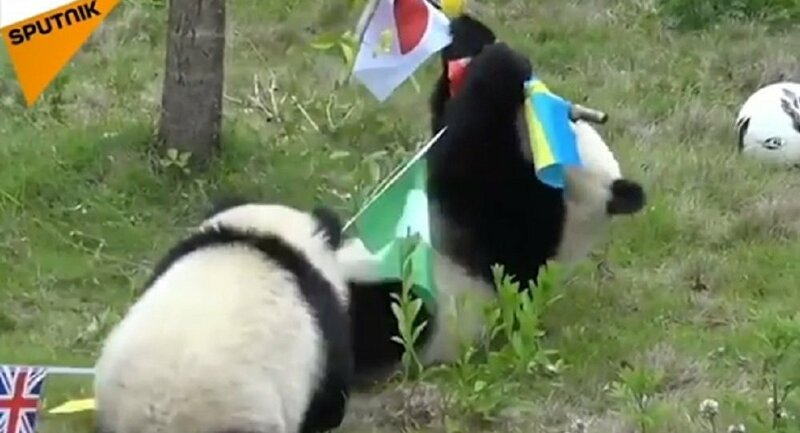 Some animals have become famous by making predictions for matches during the 2018 FIFA World Cup and some have even made accurate predictions. But sometimes it is difficult to determine whether these fluffy creatures are real oracles or their ability to foresee was just a coincidence. But no one can deny that they're at least really cute! In the case of these little pandas, everything is clear — they are too cute to be oracles and instead prefer to chew on everything rather than making predictions. Well, what can we say? It's a pretty good choice!